Last chance early bird SAVE US$100 - register today! "Very excellent agenda, speakers, setting! Keep growing this forum!" "Overall , great conference! Love the variety!" Ziva has over 35 years of academic, research, clinical and industrial experience in microbiology, and quality assurance. Ziva has received her Master’s Degree in microbiology with a focus on Mycology and has conducted research on developing microbial Insecticides using entomogenous bacteria and fungi for her PhD degree. Her career also includes founding and managing clinical laboratories for Maccabi Medical in Israel. She has trained personnel from various industries in microbiology techniques and methods. She uses her extensive experience to teach why assessing risk of microbial contamination should be in the forefront of any company that has products for human/veterinary use. Her experience in clinical laboratories has provided her with the framework to understand the effects of microbial contamination in products from a patient safety perspective. Lucia Clontz, D.H.Sc., M.S., works as Quality Director at Xellia Pharmaceuticals in Raleigh, NC, USA. She is also a Teaching Fellow at the Biomanufacturing Training and Education Center (BTEC) at the North Carolina State University, in Raleigh, NC. Dr. Clontz has more than 30 years of industry experience in quality, pharmaceutical microbiology, laboratory management, operational excellence initiatives, and training. Dr. Clontz is a published author, speaker, and workshop leader at both national and international conferences, and in 2004, she received the PDA's Distinguished Editor/Author award. Dr. Clontz is a member of the USP Pharmaceutical Waters Expert Panel (2010-2020) and co-author of the PDA Technical Report No 69, Bioburden and Biofilm Management in Pharmaceutical Manufacturing Operations. Dr. Clontz has Bachelor of Science degrees in Chemistry, with a minor in Chemical Engineering, and in Marine Sciences. She also holds a Master's degree in Microbial Biotechnology and a Doctorate in Health Sciences. Best practices in management of microbial contamination, to include best practices in materials management, personnel training and gowning as well as equipment, process, and facility design. Cleanroom garments, including gloves, have since the beginning of the contamination control period been considered the primary barrier, minimizing particles derived from humans to contaminate the surrounding environment. The development of textile materials and garments have, however, not been highly prioritised during the last 20 years. Furthermore, much of the risk assessment and validation have to a great extent been submitted to the laundry and (or) garment rental companies. The draft Annex 1 (EudraLex, Volume 4) is indicating a totally different view in this regard, which will have an enormous impact on the end-user. • Do the end user of cleanroom garments know what they are using and why? Heidi Anderson is the Principal Scientist of Microbiology and Environmental Monitoring for Abbott Laboratories. After graduating from the University of Wisconsin with a degree in Medical Microbiology and Immunology she began her career with Abbott’s Diagnostics Division and has continued to work there for nearly 15 years. Heidi specializes in testing, facility design, risk management, aseptic techniques and gowning for non-sterile or microbially controlled manufacturers. She has extensive experience with FDA inspections of non-sterile production facilities. Heidi is originally from Twin Lakes, Wisconsin where her family owns an apple orchard. She currently lives in Burlington, Wisconsin with her husband, Steve and their twins, Quinn and Juniper. Bindhu Verghese received her PhD in Biological Science from the University of Tulsa, Oklahoma in 2007. After three years of postdoctoral research work on the frontier areas of food and environmental microbiology at the Department of Food Science, Pennsylvania State University, University Park, PA, she joined as an R&D Senior Staff Scientist in Microbial Solutions at Charles River Laboratories (CRL) in Newark, DE. She has over 15 years of experience working with molecular & microbial techniques, microbial genomics, and bioinformatics. As a senior staff scientist at CRL, she is responsible for microbial library development as well as evaluating new technologies and coordinating research studies to meet business needs. She has successfully led numerous projects to develop, optimize, and implement microbial platforms. In addition, she has authored and co-authored numerous peer-reviewed microbiological journals and also presented her research at several national and international conferences. Friedrich is Senior Manager at Roche-Genentech Global Analytical Science and Technology, Global QC. He is Head of Roche-Genentech global Endotoxin Expert Group and Roche-Genentech global SME on microbial impurity contaminations and LER. After studying biology with focus on Microbiology at the Technical University of Braunschweig, Germany he earned his PhD at the Institute of Microbiology and Hygiene, Charité, Berlin, Germany. He joined Roche in 2001 working as Micro lab Manager and Senior Manager on various topics (environmental monitoring, biochemical cleaning analytics, microbiological IPC and analytics for release, endotoxin testing, LER). Friedrich led several Roche-Genentech Micro expert teams (e.g. identification, microbiological testing) and co-chaired the PDA LER Task Force. He chaired and co-chaired several Endotoxins and Pyrogen Sessions at Pharmalab and PDA. Farnaz is a scientist and manager at Roche-Genentech Global Analytical Science and Technology, Global QC. She is an SME for Low Endotoxin Recovery topics and a key member of Endotoxin Expert Group at Roche-Genentech. Farnaz received her PhD in Bioengineering from University of California Berkeley. She has extensively experience in Biotechnology and Pharmaceutical industry. She has worked in the field of synthetic biology, engineering microorganisms for production of renewable fuels, chemicals, and pharmaceuticals. Farnaz joined Roche in 2016 working as a scientist and manager under Global Quality group. She has led many LER trouble shooting activities, LER investigations, and de-masking method development for LER impacted products. Additionally, she is driving research in alternative methods for endotoxin detection and characterization. Veronika Wills, Manager, Technical Services, Associates of Cape Cod, Inc.
Anita has 20 years of experience in the biotechnology and blood bank industries. She has an excellent understanding of cell banking, manufacturing, and quality control testing. During her career, she has managed personnel and processes in various departments including microbiology, virology, biochemical manufacturing, and component & processing laboratories. In Blood Bank, she started as a Component Lab Technician and quickly moved to a managerial position and managing the processing and phenotype labs. In 1997, she transitioned to Genentech, where she started as a Fermentation Supervisor and managed the mammalian cell culture processes and facility environmental testing. Later she managed the E.coli and Cell Culture Fermentation plant and worked with Regulatory and Quality Assurance for routine and new product license inspections. She participated in internal and external audits and inspections. She managed QC functions and work with cross sites with QC related projects and method transfer. In 2012, she joined Bayer to manage the Microbiology and Virology groups, currently manages Quality Control Microbiology/Environmental Monitoring/Cell Biology/Virology departments and oversees the operations, method validation, microbial identification, and discrepancy groups. She is an active member of ASM, PDA, and PMF. Anita obtained her Bachelor of Marketing and Management degree from Saint Mary College and Master in Business Administration from the University of San Francisco. Jason has spent 20 years in the health care field starting first in retail pharmacy and eventually moving to QA/QC. For the last 15 years, he has worked directly and indirectly with compounding and hospital pharmacies, medical device, herbal medicines and pharmaceutical companies. He is a microbiologist by education and expertise in addition to consulting for pharmaceutical and biotech companies helping them troubleshoot and bringing solutions to complex challenges. He has worked in increasing levels of management roles throughout his career and is now the Global Quality Director for Fagron, a leader in the personalized medicines field. Irving has over 28 years of QA/QC experience in pharmaceutical/biotechnology and cell/gene therapies industries. Prior to joining Celgene, Irving was a significant contributor for activities supporting the commercial approval of Novartis’ CAR T product Kymriah®. Irving is an active member of PDA and recently served on the committee for the 2018 Global Conference on Pharmaceutical Microbiology. Irving is also a co-author for PDA’s TR for EM of Low Bioburden Facilities. Currently, Irving is working on a task force for creating an ISO Standard for apheresis collection. Irving is also co-authoring a White Paper for appropriate microbiological controls for ATMPs manufacturing. Lisa Yan, PhD, RAC is part of Takeda Pharmaceutical Company Limited supporting Global Microbiology, where she’s responsible for the global harmonization of microbiology methods, global quality compliance and contamination control strategies across the Takeda network. Lisa holds a regulatory affairs credential and is an active member in multiple microbiology work forums including OWBA (Online Water Bioburden Analyzer) and BPOG (BioPhorum Operating Group) with the goal of advancing rapid microbiological methods within the industry. She currently leads and hosts a rapid micro community of practice within the Takeda network. Prior to Takeda, Lisa has held various roles in quality assurance and QC microbiology at Shire PLC, Baxalta and Baxter. Lisa received her Bachelors of Science in Biochemistry at UCLA and Doctorate of Philosophy degree at USC Keck School of Medicine in HPV and Prostate Cancer Immunotherapy. Why should you consider a holistic business case? An overview of the design, validation and implementation of RMM. Manager, Technical Services, Associates of Cape Cod, Inc.
View details DuPont Sponsors and Exhibitors http://www.PharmaProtection.DuPont.com DuPont™ Tyvek® is the proven choice for pharmaceutical protection and contamination control by leading pharmaceutical manufacturers around the world. With a unique balance of properties that cannot be found in any other material, Tyvek® provides trusted protection for the pharmaceutical industry as active packaging, final product packaging, sterile garments and cargo covers. 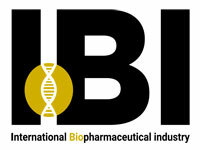 View details Microbiologics Sponsors and Exhibitors http://www.microbiologics.com At Microbiologics, our mission is: "To provide the highest quality biomaterials for a safer, healthier world." We are the leading provider of ready-to-use QC microorganisms for quality control testing in the clinical, pharmaceutical, food, water and educational industries. With over 900 strains available in a variety of user-friendly formats, we offer the largest and most diverse line of QC microorganisms including qualitative, quantitative, Certified Reference Material and Parasite Suspensions. Our products are manufactured in accordance with the industry’s highest standards. We have achieved ISO 13485 certification, as well as ISO 17025 and ISO Guide 34 accreditations. In addition, we are an FDA registered establishment and offer many CE Marked products. 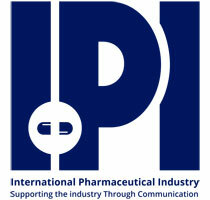 View details Pharmaceutical-Review Official Media Partner http://www.pharmaceutical-review.com Pharmaceutical-review.com is part of Integrated IQ technologies Private Limited(IIQ). A Leading platform for all the Pharma manufacturing companies and buyers across the world.Having a subscriber database of more than 120,000 globally helping the clients to reach their target buyers through our exclusive listing, branding(banner advertisement), e-news letters, e-mail marketing, product reviews, product launch promotions, event marketing, search engine marketing and social media marketing services. View details Rapid Micro Biosystems Official Media Partner http://www.rapidmicrobio.com Rapid Micro Biosystems creates innovative products for fast, accurate, and efficient detection of microbial contamination in the manufacture of healthcare products. The company’s Growth Direct™ - the first and only growth-based system to automate traditional microbial testing - detects contamination more quickly, delivering compelling economic benefits to manufacturers while improving their quality control (QC) process. DuPont™ Tyvek® is the proven choice for pharmaceutical protection and contamination control by leading pharmaceutical manufacturers around the world. With a unique balance of properties that cannot be found in any other material, Tyvek® provides trusted protection for the pharmaceutical industry as active packaging, final product packaging, sterile garments and cargo covers. At Microbiologics, our mission is: "To provide the highest quality biomaterials for a safer, healthier world." We are the leading provider of ready-to-use QC microorganisms for quality control testing in the clinical, pharmaceutical, food, water and educational industries. With over 900 strains available in a variety of user-friendly formats, we offer the largest and most diverse line of QC microorganisms including qualitative, quantitative, Certified Reference Material and Parasite Suspensions. Our products are manufactured in accordance with the industry’s highest standards. We have achieved ISO 13485 certification, as well as ISO 17025 and ISO Guide 34 accreditations. In addition, we are an FDA registered establishment and offer many CE Marked products. Rapid Micro Biosystems creates innovative products for fast, accurate, and efficient detection of microbial contamination in the manufacture of healthcare products. The company’s Growth Direct™ - the first and only growth-based system to automate traditional microbial testing - detects contamination more quickly, delivering compelling economic benefits to manufacturers while improving their quality control (QC) process.